About 1,778 jobs in Government sector. 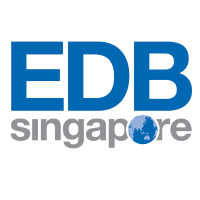 The Digital Industry Singapore (DISG) office is a joint office comprising officers from EDB, ESG and IMDA. DISG will drive job creation, capability building, enterprise development and internationalization across key local and international digital enterprises. The role of DISG will be to oversee Singapore’s efforts in industrializing digital, which is the building up of supply-side companies in the digital industry vertical. The work of digitalizing industries will be driven by the respective sector leads as part of the Industry Digitalization Plans. IT Savvy and able to pick up the use of different IT systems quickly. 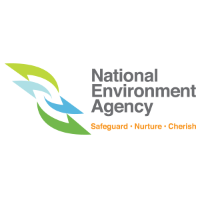 You will be responsible for investigating and following up on planning infringements to ensure timely compliance with the development control requirements.This will involve carrying out inspections on ground and interviewing persons acquainted with the case. For some cases, you will be working as a team, possibly including prosecutors and enforcement counterparts in other agencies for joint operations. required to evaluate the merits of the appeals and make recommendations to the appropriate authority. You will assist in the development and maintenance of planning data/3D digital systems that support urban planning & design functions. You will assist in the documentation, organisation and integration of completed 3D digital models with existing IT systems.You will be involved in a variety of works such as assisting the architects in drawing up district masterplan and urban design plans. and planners in retrieving planning and consultations data through URA’s Geographic Information System (GIS), perform 3D analysis in 3D digital system and other electronic systems, assist in preparing plans, charts, presentations and analysis using GIS software (e.g. ArcGIS) and / or other applications (AutoCAD, Adobe Photoshop, Powerpoint, etc). You will coordinate and assist in reviews, presentations and meetings, as well as write minutes, papers and reports as part of department workflow. not take things for granted but are analytical to question the norm and take responsibility in recommending improvements to existing work processes and practices. You are a strong team-player and are proficient in MS Office and SAP. High integrity and the ability to handle confidential information are critical. You must also be meticulous and have good written and verbal communication skills. Being highly reliable, you can be depended on to persevere and follow through with all assignments. You take pride in your work and are constantly looking for better or different ways of doing things. 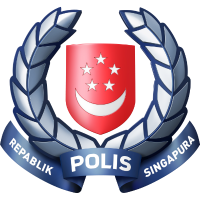 The Centre for Protective Security (CPS) is a staff department under Singapore Police Force, which is a regulator and the national centre-of-excellence in protective security. We are looking for personnel who are passionate in supporting the organisation’s objective in levelling up the competency of the security industry and Home Team officers in the areas of protective security. for reviewing protective security works related to blast engineering in support of Security-By-Design (SBD) process under Infrastructure Protection Act (IPA), SPF and other stakeholders. Develop, review and enhance protective security standards and guidelines with regards to blast protection and resiliency. Carry out research and technical studies on blast related issues like new construction / design for better blast resiliency, better protection system against blast, simulation of blast effect on structure and human, and structural design for close-in detonation. Work with blast experts worldwide to enhance the blast engineering standard in CPS/Singapore. Knowledge Management / Trainer for all Protective Security course conducted by CPS. Successful applicant will be placed on the Home Team Specialist Scheme. SBD projects are non-homogenous with different ops and constraints. The technical reports for the SBD projects are often unique and require close assessments. The job holder often needs to front meetings with external security consultants and project owners to discuss the technical reports and proposed mitigation measures. His performance at these meetings affect MHA’s reputation as a regulator for IPA. To work effectively with other experts in reviewing and enhancing protective security standards and guidelines, including research that needs to be done. To serve as an effective trainer for blast-related content. To be part of our team, please submit an online application via www.careers.gov.sg. Shortlisted candidates will be notified within two weeks after the closing date for applications. We work as a team, in partnership with the community, to make Singapore our safe and secure Best Home. The Ministry of Home Affairs aspires to be world-class in delivering a safe and secure home for our people. In pursuing our mission to help make Singapore safe and secure, we remain always constant and true to our core values of Honour and Unity. Protective Security is a specialist outfit under the Ministry of Home Affairs, which is a regulator and the national centre-of-excellence in protective security. Responsible for reviewing protective security works related to Protective Security Infrastructure*(non-blast related) in support of SBD process under IPA, MSED/SPF and other stakeholders. Under Administration of the SBD process, there are an estimated 50 to 60 SBD projects per year. Up to 3 technical reports (more if resubmission of reports are needed) per SBD project has to be vetted and cleared. Develop, review and enhance protective security standards and guidelines with regards to Physical Protection Systems. The AD Protective Infrastructure is responsible for the personal well-being and career development of the officers in his unit. He/she also acts as a coach, counsellor and mentor to these officers. To serve as an effective trainer for Protective Security Technologies modules in CPS courses. Strong knowledge of protective security, particularly in Physical/Infrastructure Protection System. Strong interest in counter-terrorism and homeland security technologies. Some experience in Physical/Infrastructure Protection System. At least eight years’ work experience is required (for the AD post) and at least two years’ working experience in security-related industry. Resilient and work effectively in a dynamic environment. Good inter-personal skills with the ability to engage people at all levels and able to work independently are essential – the officer must also be a strong team player. Shortlisted candidates will be notified within 2 weeks. 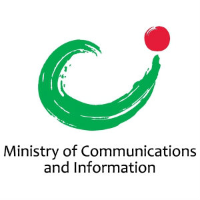 To support the Whole-of-Government national initiatives and public communications efforts to produce quality translated communications materials. At least 5 to 8 years of relevant experience in translation. Effectively bilingual in the English and Tamil languages with strong translation and vetting skills. Keen interest in and have a strong grasp of current affairs. You will evaluate and review development proposal plans submitted for Vehicle Parking clearances to ensure that the proposal complies with prevailing requirements and guidelines. You will also be conducting site inspection to verify site conditions, preparing written directions and meeting with architects / consultants. You will be involved in the division’s efforts to adopt Building Information Modelling (BIM) technology in enhancing regulatory evaluation of proposals. the public with their enquiries / feedback on vehicle parking matters. To support the works for major office renovation/fitting out worksand oversee the facilities management to ensure smooth delivery of the estate and building works are carried. e)Liase with the contractors to ensure all works comply with the all statutory requirements (for eg. 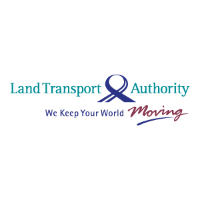 Workplace Safety and Health Act, Building and Construction Authority, Singapore Civil Defence Force, etc) and complete on time. assigned by Engineers or Technical Supervisors. Undertake projects assigned by Engineers / Technical supervisors to improve the reliability, effectiveness and efficiency of the Plant's equipment and process.